Here at I Made It we put the fun into your Colorado Holiday Gathering. 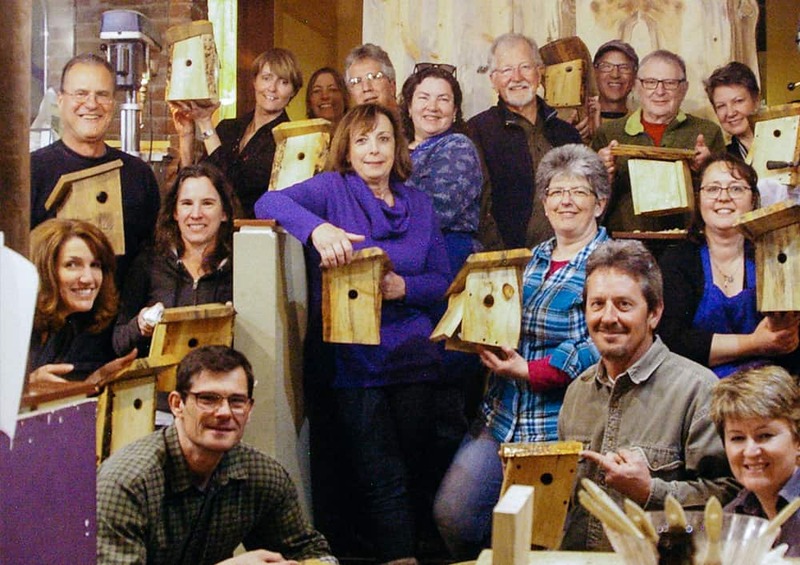 We take you and your group step by step through creating your very own woodworking projects! Wood, drinks, and fun, need we say more? You choose from several different projects for your event! Your choice can be submitted on the event contract. See some of your choices here. You are allowed to bring in your own food or have food catered. Please let us know in advance so we can arrange accordingly. We do have complimentary light snacks. We provide all the beverages. The first glass of wine or house beer is included in the ticket price. Additional drinks can be purchased at $4.00 or $6.00 per glass, and $15 or $25 per bottle. We also have sodas, and water available for purchase. If we are notified prior to 1 month in advance, we offer a full refund. If notified prior to 10 days in advance, a half refund will be granted, and if notified less than 10 days in advance, no refund will be granted. $450 (first 10 tickets) Off-peak event times: morning, afternoons Wednesday – Friday. $900 (first 20 tickets) Peak event times: Sunday afternoon, Tuesday – Thursday evenings. $1,125 (first 25 tickets) Premium event times: Friday evening, Saturday afternoon & evening.